Grundig released some of the most beautiful consumer electronics for the audiophiles, design aficionados and modern domestic setups during the 1960s-70s. The Audiorama line tied in the best elements of a decade obsessed with the sphere, a motif shaped in part by Kubrick’s 2001: A Space Odyssey, and carried through Italian design powerhouses of Brionvega, Kartell and Artemide, travelling to Britain as evidenced in the Keracolor televisions, whilst infiltrating the Japanese design world with profundity that saw JVC producing its iconic Videosphere televisions and Toot-a-Loop radios. 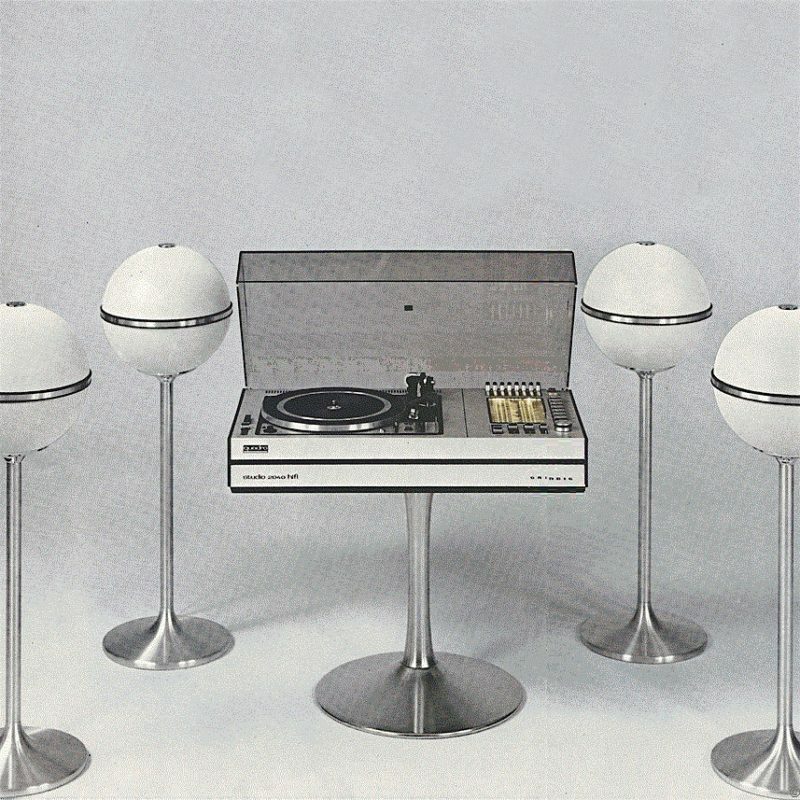 Grundig, not far behind, was fusing these elements to articulate cleverly modern, utilitarian objects whilst aligning itself to a new domestic look via beautiful marketing imagery not dissimilar to Bang & Olufsen’s output of the time. Their Audiorama range preached modular efficiency, effortless and multi-option placement (including a suspension system) whilst delivering an unquestionably wholesome encapsulating sound.